The Lowdown on Lavender - Amphora Aromatics Ltd – Supplier of pure essential oils and aromatherapy Products. It is undoubtedly one of the most versatile and renowned essentials oils in the world of aromatherapy. Loved by many for its beautiful floral aroma and its relaxing properties. natural insomnia treatments and managing stress levels. Lavender oil can also be found in an abundance of skin and haircare products due to its beautiful aroma and versatile properties. Lavender has been used for centuries for its various medicinal strengths. The ancient Greeks would use it to treat symptoms of throat infections, combat chest pains and constipation. The Romans would add it to their Baths and use it to help mask foul odours (as you can imagine there were a lot of nasty smells around during this time!). One of the most noted uses of Lavender in History was during the Great Plague of London in the 17th century. 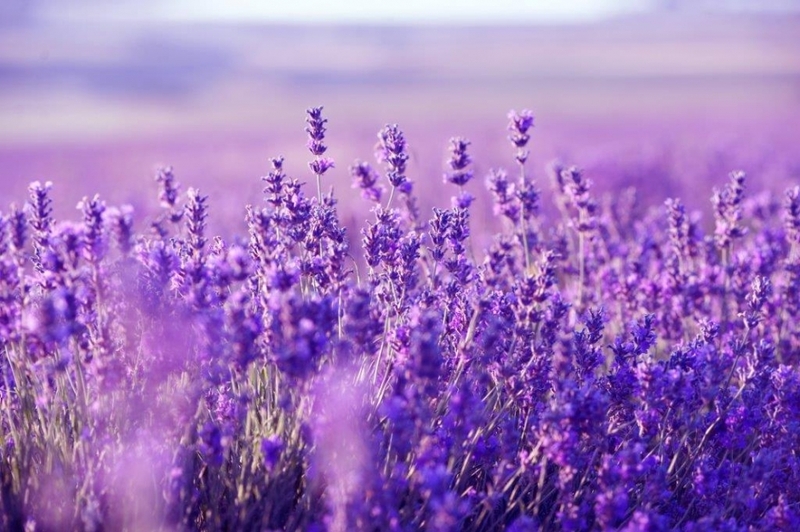 During this time Lavender was used to help ward off infection; people would tie bunches to their wrists and use it in a concoction called ‘Four Thieves Vinegar’ to help protect themselves. Although this may sound quite naïve, there may be some truth rooted in this. As we are now aware that the great plague was spread by fleas; Lavender is renowned to acts as a natural flea repellent. So the power of it should not be underestimated! From June through to August is prime time for harvesting Lavender across France and other areas of Europe. Lavender fields in full bloom are an absolutely stunning sight, and many tourists will flock to areas such as the mountains of Provence in France to catch a glimpse of the breath-taking sight and of course enjoy the wonderful aromas. Here at Amphora, we stock a variety of different Lavenders which all have their own significant aroma, depending on where they are from. Calming, rejuvenating, soothing and balancing. The complex chemical structure of Lavender is what makes it such an incredibly versatile oil. It is one of the most widely used and often most loved oils in the field of aromatherapy! We source this Lavender from Provence in France. When it comes to aroma, Lavender high altitude is often believed to be the finest out of all Lavenders. Growing 1500 meters above sea level. Its superior scent is a result of the higher content of ester produced due to having grown at a higher altitude. Our Lavender high altitude is sourced from France and its 50-52% ester content (higher than your average) is what gives the oil its superior aroma! This Lavender is extracted obtained through solvent extraction which is what makes it heavier than the true Lavender oil. This extraction ensures it contains less volatile contents than the whole oil. Lavender Hyb. Sumian is a hybrid of true Lavender (Lavendula angustifolia) and lavender Spike (Lavendula latifolia). A beautiful aroma that is reminiscent of old English Lavender on a hot summer’s day. It’s definitely an oil to make the most of whilst it’s still around as this species will eventually die off! We source our Lavender Spike from Spain. This species of Lavender grows at lower altitudes as it is slightly more sensitive to colder temperatures. It has a more herbaceous and penetrating odour to it than other types of Lavender. We stock Lavender Spike as part of our specialty oils range here at Amphora. It is generally more reasonably priced than other types of Lavender, which makes it ideal for use in room sprays and home fragrance where larger quantities are needed. 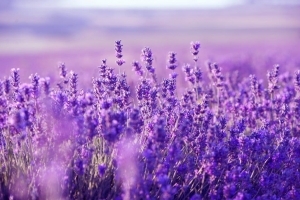 Lavender essential oil can be found in some of our new AA Skincare essentials! We’ve got a great deep cleansing Lavender and Tea Tree cleansing face gel, a light and restoring Lavender and Tea tree face lotion and a Lavender gel which can be used to treat breakouts and soothe irritated skin. We hope you’ve found this blog useful and thank you for reading, stay tuned for more to come in the following weeks!